It’s an interesting thing to observe bands and songwriters evolve over the course of two decades. There's a big difference between who artists were in their early twenties, and who artists have become in their forties. In a band, so many things can (and often do) change via the personal evolution of its members. 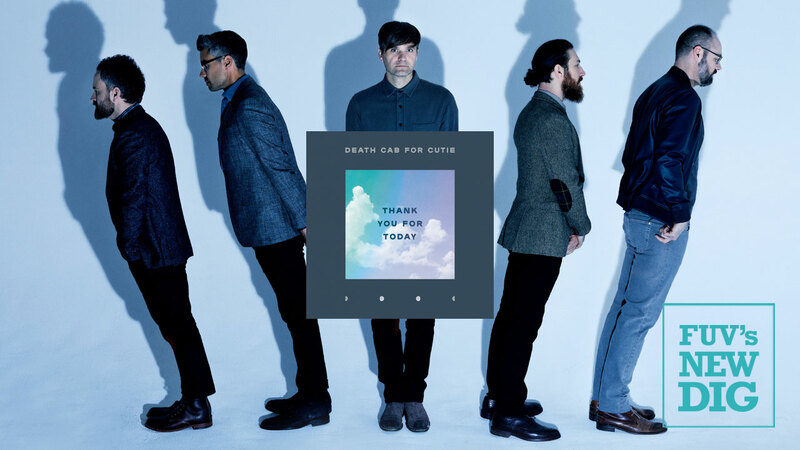 In the case of Death Cab for Cutie, one of the biggest and most reliable names in rock, many things stayed relatively constant for most of the band's career. With the exception of a couple of years where frontman and primary songwriter Ben Gibbard, temporarily relocated to Los Angeles, they have been a Seattle, Washington band. After a switch in drummers early on, the lineup remained intact. Chris Walla, one of the founding members and guitarists for the band, produced all of their albums. They changed record labels just once, after the success of their fourth album, Transatlanticism, brought major labels knocking. Death Cab shifted from the Seattle-based indie imprint Barsuk to Atlantic Records. So in 2014, when Walla announced he was leaving the band, the change felt seismic. The last album to be released with his guitarwork, 2015’s Kintsugi, was the first to employ a new producer, Rich Costey. That album earned the band its eighth Grammy nomination and the tour that followed brought two new members to the fold: Dave Depper (guitars, keyboards, and backing vocals) and Zac Rae (keyboards and guitars). The table was set for their latest release, Thank You For Today. Now in full creative control, Ben Gibbard, again collaborating with Costey, has delivered one of the best Death Cab albums in years. The sound is expansive, energized, and introduces some new elements that are complementary to their taut, yet emotive palette. An example is the use of a sample in the infectious single “Gold Rush,” which incorporates a snippet of a Yoko Ono song, 1971's “Mind Train." And for the first time, a guest vocalist appears on the album, Chvrches frontwoman Lauren Mayberry, who adds a cool, nearly electronic-sounding backing vocal to “Northern Lights." Running throughout Thank You For Today are atmospheric touches of synthesizers, and even some vocal distortion (“I Dreamt We Spoke Again”). These are artful and at times nearly imperceptible embellishments on Death Cab’s signature guitarscapes and dynamic rhythms. But the overall effect is a sense of immediacy, progression, and sonic exploration that is exciting to hear from these steadfast, early indie heroes. This new collection of songs finds Gibbard having made it through both breakups — with his ex-wife and his ex-bandmate, Walla. He's now happily remarried and yes, also newly “married” to his current lineup. Those changes, and simply arriving into his forties, finds Death Cab’s songwriter reflecting on transformations. The transience of friendships and unavoidable nostalgia are twice wrapped in shifting seasons via “Summer Years” and “Autumn Love." The inconstant landscape of his city and the people in it spur on “You Moved Away” and “Gold Rush," while the distance that can grow between loved ones give “Near/Far” and “Your Hurricane” their roots. Thank You For Today opener, “I Dreamt We Spoke Again," says it best: "Only in a dream, Is anything the way it used to be." He’s a superhero growing bored with no one left to save anymore. There’s nothing elegant in being a drunk. It’s nothing righteous being 60 and punk. That kid you used to be. Ironically, that youthful Gibbard was at the start of his own career, and had just released Death Cab’s debut album, Something About Airplanes, now celebrating its 20th anniversary. At 42, he's now at the top of his game. It is true, nothing can always stay the same. But if you’re lucky, you can turn change into golden opportunity, and that is just what Death Cab For Cutie has done with Thank You For Today.